Today, Governor Bill Haslam announced a statewide “listening tour” to hear from educators about the challenges with TNReady and ways to make improvements going forward. While I applaud the effort to listen to educators, it seems to be coming a little too late. It also seems the end goal has already been decided: Keep TNReady. Interestingly, Commissioner McQueen has convened a “testing task force” several times during the years of TNReady. So far, no real improvements have come from these meetings. It’s quite likely the educators on the front lines have some useful ideas about how to improve assessment in our state and I’m hopeful the next Governor will take those ideas into account. 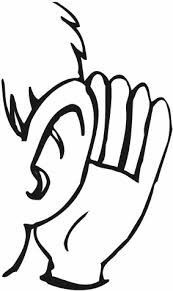 It’s also worth noting that true listening requires significant effort and investment. As noted in the press release announcing the tour, preparation and implementation of this year’s TNReady will continue while the tour is being conducted. Some have suggested hitting the pause button on TNReady this year and spending the year listening and working to improve assessment for the 2019-2020 school year. This would give the next Governor time to digest recommendations and move forward with improvements. The “unprecedented improvement” Haslam mentions is the whole “fastest-improving” line he so often uses in reference to the 2013 NAEP results. Of course, that happened BEFORE a single administration of TNReady. In fact, TNReady hadn’t even been invented at that point. Since 2013, Tennessee’s NAEP scores have (predictably) leveled off a bit. In other words, if, as Haslam suggests, an aligned assessment (even one never successfully administered) is the key to “unprecedented” improvements for students, our test must not be that great. Or, maybe having an aligned assessment isn’t all it’s cracked up to be? Let me go on record as saying I think some form of assessment of student progress is useful. I also believe (as my past writing indicates) that attaching student grades or teacher evaluations to such an assessment is of dubious value. I appreciate what Governor Haslam is trying to do with this listening tour. While I certainly have some ideas about alternatives to the current testing regime, I think policymakers should take some time and just listen. Listen to the professionals — the teachers in the classrooms who are with students each and every day. Don’t listen with the outcome in mind, don’t listen while also building an implementation process for this year, just listen. PERSONAL NOTE: This is my 800th post on TNEdReport — your investment helps make the work sustainable! This entry was posted in Bill Haslam, Testing, TNReady and tagged Andy Spears, Bill Haslam, Testing in Tennessee, TNReady, TNReady Listening Tour. Bookmark the permalink.